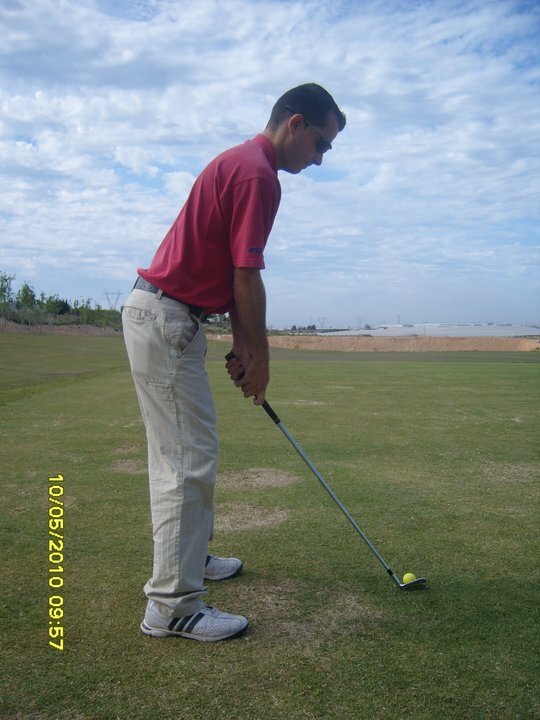 For me, the basis of a good golf swing is the posture, get this wrong and you are faced with difficulties, even before you start to swing the club. So as with everything golf I am going to start from the ground up. 1.CHECK FROM THE FACE ON POSITION. Your feet should be positioned "shoulder width" apart, this can be measured from the outside of your shoulders to your shoe laces. 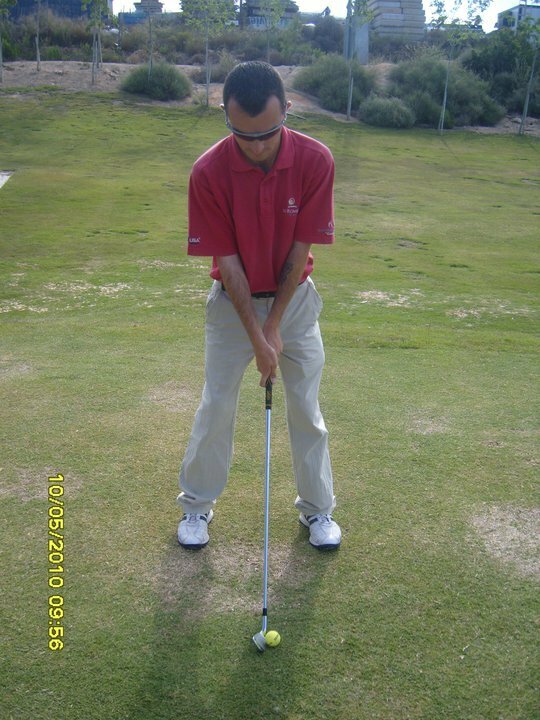 Pick up a club, place it on the boney part of the outside of the shoulder and let the club hang straight down. Do this in front of a mirror or with a friend. Position your weight evenly between your target and non target foot, allowing the hips and shoulders to remain parallel to the ground (no excessive slant). Make sure that with all the clubs the shaft points towards your belt buckle. This helps to create a consistent position during impact. Your weight should be positioned on the balls of your feet, placing the weight here helps to create a solid base and a balanced posture. Your feet, hips and shoulders should all be parallel to your target line. Gently flex your knees, just enough to make you look athletic. To create a good spine angle, push your bum out, ensuring that your spine remains straight. The angle you create between your lower body and your upper body should be 40º. From here just let your arms drop beneath your shoulders. Your body should be relaxed, so that it free to move naturally and effectively.